“The Nightmare” is the latest DLC for Shadow of the Tomb Raider, and is available today as paid DLC, or free to Season Pass holders on all platforms. 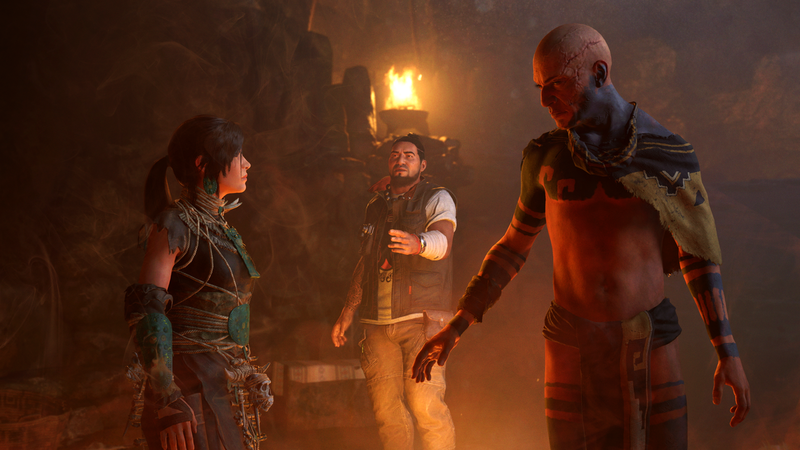 A powerful weapon awaits, but to obtain it, Lara most conquer the latest challenge tomb, “Howl of the Monkey Gods”. The Nightmare also offers new customization options, with the Scales of Q outfit; it has a thick hide and solid bones to provide twice as much resistance to melee attacks. The Grip of Fear axe possesses a primal design, optimized for climbing and fighting. When using the axe, enemies are more likely to be knocked down and stay down for longer periods. Finally, White Breath is the new skill that when fired, creates a cloud of hallucinogenic vapor on impact, poisoning enemies to fight against one another.